This is one of Puerto Rico’s key tourist destinations for a reason. 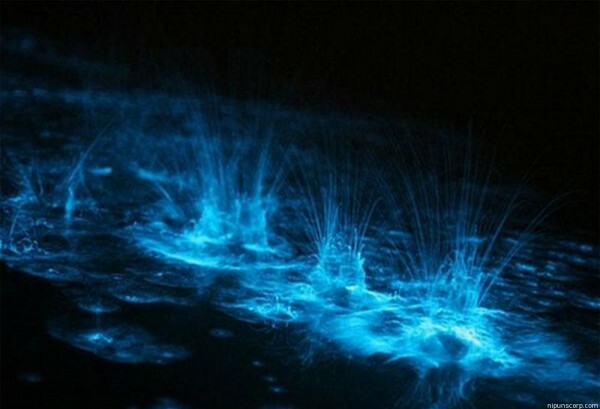 The water is luminescent and glows an emerald green color due to a chemical reaction related to the oceanic plankton and the environmental conditions. This Bio-Bay is a one-of-a-kind ecosystem that fascinates and intrigues visitors with its amazing magical beauty. Do your homework before planning a trip to see a bioluminescent bay as there are certain time when the bay is more visible than others. 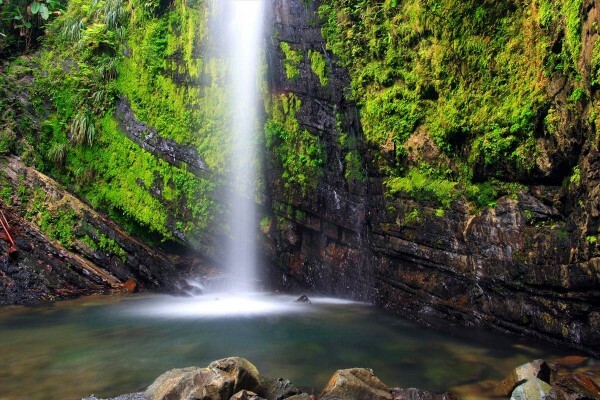 If you’re looking for the ultimate rainforest experience, El Yunque is the perfect choice. The damp, steamy atmosphere dotted with the green of the moss and mixed with the vibrant colors of the tropical birds will ensure a very memorial experience. Your scenes will be in overdrive. Some travelers have described the beauty as overwhelming. With 28,000 acres of land receiving over 200 inches of rain per year, it’s the only tropical rainforest in the US Forest System. In El Yunque you will find over 400 different types of plants, dozens of trails, pavilions for picnics, towers built of stone, rivers, waterfalls and a visitor’s center. Like night and day, Guanica and El Yunque couldn’t be more different. 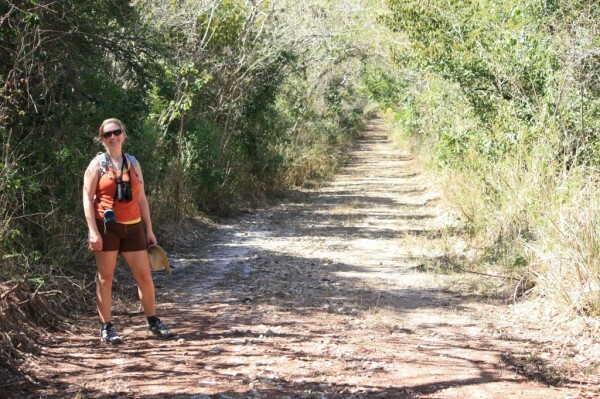 The name Guanica means, here is a place with water however it only receives 29 inches of rain annually. The land consists of 10,000 acres of a dry tropical forest. Covered with 700 plant species including 16 species that exist nowhere else in the world, strange looking rocks jut from limestone formations and unique reptiles may hiss as you go by. Bird watching is a popular activity as over 100 species of birds can be found here including; Puerto Rican woodpecker, Puerto Rican lizard cuckoo, Puerto Rican emerald hummingbird, Puerto Rican nightjar (highly endangered) and Dark-colored chirpers. Not far from Guanica is Punta Ballena Reserve. 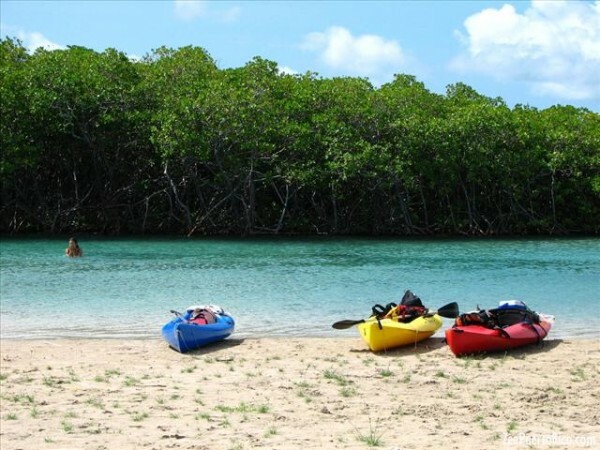 Declared a Biosphere Reserve by UNESCO, this impressive ecosystem has a mangrove forest that protects the coast of Puerto Rico from the ocean when hurricanes hit. Manatees, and crested toads call Punta Ballena Reserve home. Hawksbill turtles come here specifically to lay eggs. With only a few thousand manatee remaining in the world it’s amazing that there is a place like this where you can see these amazing creatures in their natural habitat.